Janis Joplin Image by David Gahr Featured in USPS USA Forever stamp series: Music Icons: Beloved musicians whose blend of sound and way of life broke boundaries. Groundbreaking singer Janis Joplin (1943-1970), an icon of the 1960s whose bluesy voice propelled her to the pinnacle of rock stardom, appears on this new stamp in the Music Icons series. 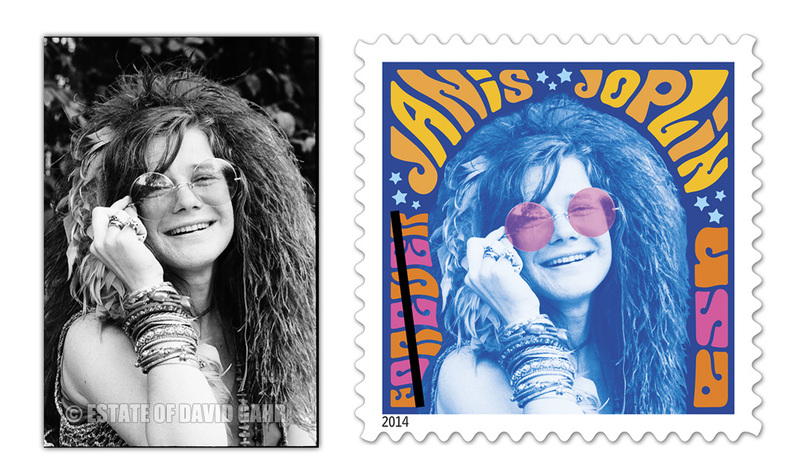 The artwork for this stamp features a photo of Janis Joplin taken by David Gahr in June 1970. The original black and white photograph is rendered in shades of blue, with Joplin’s trademark round sunglasses tinted a shade of pink. With her wild mane of hair decorated with a feathered accessory, wrists decked out in bangle bracelets, and expressive smile, it’s a joyful image of this iconic singer. 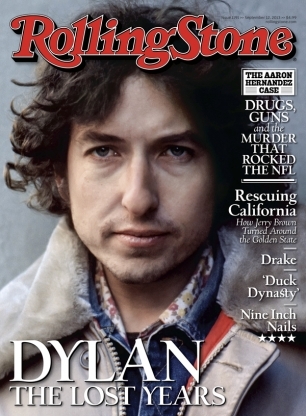 The words “Janis Joplin,” along with the “Forever” denomination and “USA” appear in psychedelic-style script reminiscent of the 1960s, in shades of gold, orange, and pink. 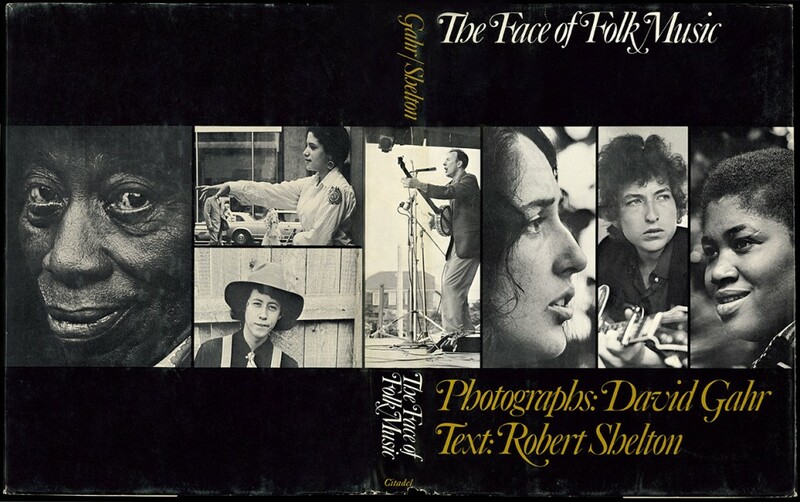 Daniel Pelavin designed the lettering. Small blue stars pop out from the stamp’s dark blue background. Text below the stamps briefly describes Joplin’s musical legacy. This June, the US Postal Service (in a joint issuance with French postal service, La Poste) will be releasing two new Forever stamps honoring two of the world’s greatest musical artists, Edith Piaf and Miles Davis. The image of Miles Davis is from David Gahr’s iconic photograph of the jazz trumpeter, taken in 1970. 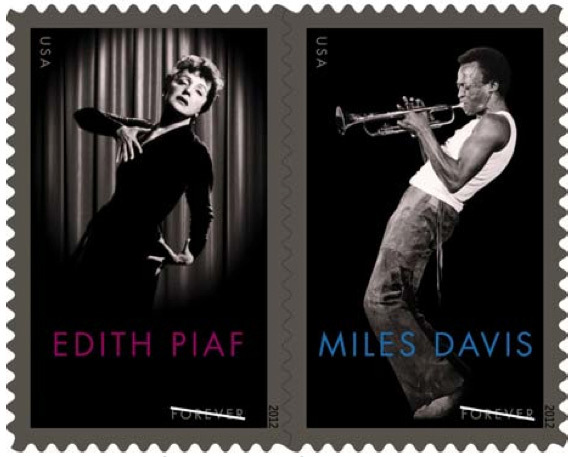 WASHINGTON — The United States Postal Service today announced the joint issuance of new Forever stamps honoring two of the world’s greatest greatest musicians, Edith Piaf and Miles Davis. The stamps will be issued with the French postal service, La Poste in June. “We look forward to issuing these great stamps jointly with La Poste, continuing a tradition of international celebration of stamps,” said USPS Manager, Stamp Services, Stephen Kearney. Americans may know Edith Piaf best for her cheerful song “La Vie en Rose” (“Life in Pink”), about the experience of falling in love and seeing life through rose-colored glasses; the tune is still heard on the streets of Paris today.